It’s no secret that Inuit offers pre-made, website templates for $4.99 a month. It’s also widely known that there are hundreds of other websites that allow you to purchase templates and let you try to figure out how to set up your own website, or use an online editor from Go Daddy or Yahoo!. On the surface, most people that have websites built using one of the services mentioned above think this is a great deal and that it’s a perfect system. Unfortunately, this is never the case. There are many reasons why templates or self-made websites are not the right way to go when trying to increase your online presence. 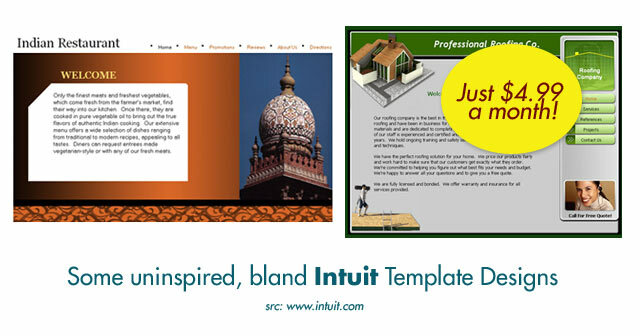 A large majority of templates are designed within a matter of minutes. Intuit offers over 2,000 of them alone. The process of designing a website template takes very little time because the process lacks all of the vital steps required for a successful website design. With a custom website, you don’t simply receive a nice visual that looks good. The web designer has spent hours researching your market, your competitors and other industry related, high quality website designs. Quality web designers acquire inspiration from around the internet, nature and every-day life, and combine it all to develop a concept design that will ensure a powerful online presence and performance for your company’s new website. Each area of a custom website design is formatted specifically with your customers and potential customers in mind. Everything from the colors, the layout, and the style of the design is tailored specifically for your market. Pre-made website templates fail to deliver on each aspect discussed above. A template design is created with the goal of selling as many copies of the template as possible. You never meet the template website designer, in fact, the template is most likely designed before you even think about needing a new site! The designer knows nothing about your customers, your business or…..you. 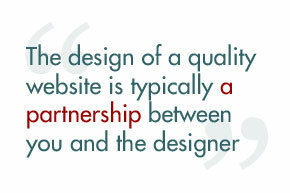 The design of a quality website is typically a partnership between you and a designer or team of designers. Designers research your company and your market, but it is also important for the web design team to realize that you know your customers better than anyone else. By coupling the web designer’s skill and expertise with your knowledge of your customers, this important partnership is formed to ensure that your new website is a success for many years to come. Another problem with hiring an inexpensive web designer is the potential that the finished web design that you receive is a stolen design from another published website on the internet. This can get you and your company into all sorts of legal trouble, especially if you signed a contract with your web designer that says you will not hold them responsible for any legal issues. Below is a screenshot of Lanai Kai Island Resort’s website taken on March 15th 2010. We won’t name the web design company that developed it, but as you can see alongside it, the exact layout, images and overall design were stolen from SurfinParadise.au , a website developed over a year ago by a web design company based in Australia. A member of the Brian Joseph Studios team saw the new Lanai Kai website, and notified the company in Australia that originally created the design for SurfinParadise.au . The internet is quite a small place when you’ve got web designers networking online everyday and supporting each other! The company in Australia thanked us for our “investigative” work, and it appears that they took this stolen design seriously. Within just a few days, the Lanai Kai website was re-worked with a new background image, and the removal of the other stolen images. When hiring a web design company ensure that you have allocated a realistic budget, researched their previous work, their clients and ensure that your are receiving a “custom” web design. The code of a website is something that most “non-web” people are unable to understand, and therefore don’t know what good code or bad code even looks like. It is extremely important to have a cleanly coded website because the code and the way it is written determines its presentation and performance when viewed by your website visitors. Some web design companies use an out-dated style of coding in that they use “Tables” to develop the layout of a website. Using the table-based coding method adds a lot of unnecessary HTML code that gets in the way of your important content when Google’s (and other’s) search engine robot indexes your website to determine its relevancy. As with all technology, it changes rapidly, and the quality companies change with the technology, and some are even at the forefront of it. Using “tables” is an extremely out-dated way of coding websites, and web development companies still using tables are really behind, and not providing their clients with a quality product. 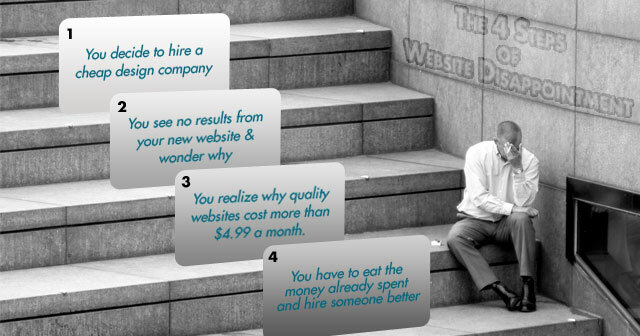 There is never really a true guarantee in web design. When hiring a web design company, you are hiring them on the basis of their proposal (if provided), the research you have conducted, or from the referral you may have received. It is vital that you, as the client, take the time to really understand the services you are paying for, and understand what to expect from the contract that you sign. The first step is to make sure that you have a realistic budget allocated. Any decent, experienced web design firm or web design freelancer will charge you at least $1,000 for a very basic website. If tools like content management systems, blog platforms, or shopping carts are included, the quote should be at least $3,000. All firms and freelancers charge different rates, but the above is a general guide to help you along the way to understand what size budget is generally needed to receive a website worth having.